I would like to add my memory of the Maze saga which varies some from the others. I had no idea until Howard (Howard Palmer, see his history of Maze here) called me that Maze had lived beyond its transfer to MIT by Greg Thompson. When I moved about a year ago, I finally threw out all my old Imlac program listings (including Maze), not knowing that a working Imlac even existed. 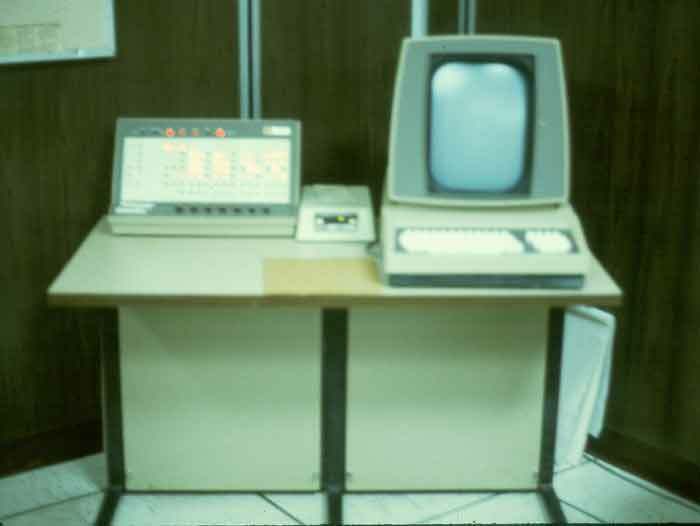 In 1973 I was trying to do simple 3D displays on the Imlac PDS-1. The first one I did was a simple rotating cube in which the hidden lines of the wireframe cube were removed. The complexity was in doing the sines and cosines on a slow machine with no multiply or divide. A little later I had the idea of doing a maze where you were actually in the maze. To keep it simple, it had an array of 16X16 bits to define the maze. I worked out how to display the halls of the maze with perspective (apparently unchanged to today), and it worked quite fast so you could quickly move around in the maze. There was no way to display an overview of the maze, and you were to simply explore the maze and "solve" it. I had several different maze designs, and it was surprising how quickly you could learn them. Maze was popular at first but quickly became boring. Then someone (Howard or Greg) had the idea to put people in the maze. To do this would take more than one Imlac, which at that time were not networked together. So we connected two Imlacs using the serial ports to transmit locations back and forth. This worked great, and soon the idea for shooting each other came along, and the first person shooter was born. I take credit for adding the "peek" capability to the game at this time. (It was too easy to get shot when you entered a new hall before you could turn to face the person who was already there). Also, due to the delay through the serial ports, it was very possible for two people to shoot each other with their bullets "passing" each other in the hall. We considered this an important feature. 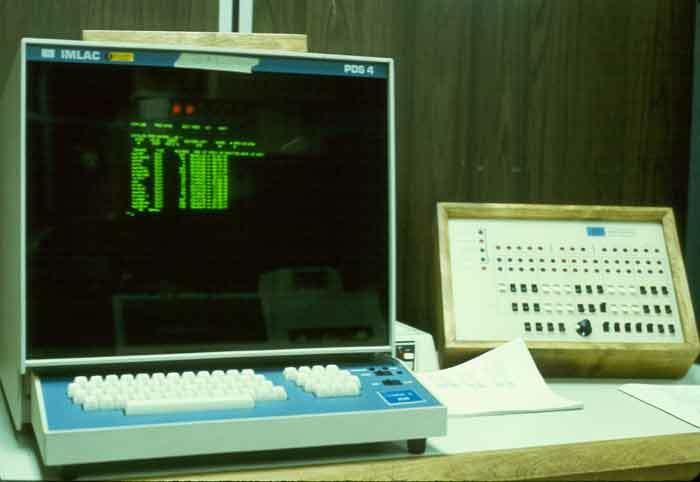 Not long after this the Imlacs were networked to the IBM 1800, and someone else took over the program (I think Greg) and converted Maze to use the network and allow multiple machines to play Maze. A lot of time was used playing Maze (generally at night). Greg then took the program to MIT, and its spread was begun. One feature I wanted to add to Maze was the ability to face a wall and put text (graffiti) on it for others to later come along and find. Due to the the memory limitations of the Imlac it never happened. It should be noted that the Imlacs were used to display aerodynamical data by the NASA people who were doing the early design of the Space Shuttle. The Imlacs were used (at times) to do real work. In 1974/5 during my senior year at Caltech, I was contacted by a group at NASA/JPL that had an Imlac that they wanted to use to display a robot moving around on Mars. Yes, the Mars Lander project started that long ago (curator's note: as Steve notes, way before Mars Pathfinder 1997, as Viking was only a year or two away in Summer 1976 but was not a rover). I worked evenings and weekends at JPL putting up a 3D display of a wheeled robot with an arm on a wireframe terrain of Mars in real time. 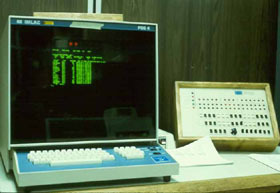 The simulation of the robot ran on a PDP-10. It took 20 years for technology to shrink the computer down to a size that could fit on the robot. It was somewhat hard to see the moves of the robot arm, so I split the screen into two halves and put up stereo images of the robot on the two halves. Then, using mirrors, it was possible to watch the robot moving in stereo in real time. It was incredible how realistic it was. It is a great disappointment to me that none of the current games have a stereo option. The hardware today is more than fast enough, and the software changes are simple. If any gamer saw Halflife/Doom/etc. in stereo, there would be no going back. I tried in the mid 90's to convince the people at Nvidia to push stereo since it would sell more chips, but got nowhere. Maybe one day it will happen. It's hard to imagine that 30 years have passed since those days at NASA. It is great that so many people have enjoyed the Maze program. Know any more about Maze? Contact us!